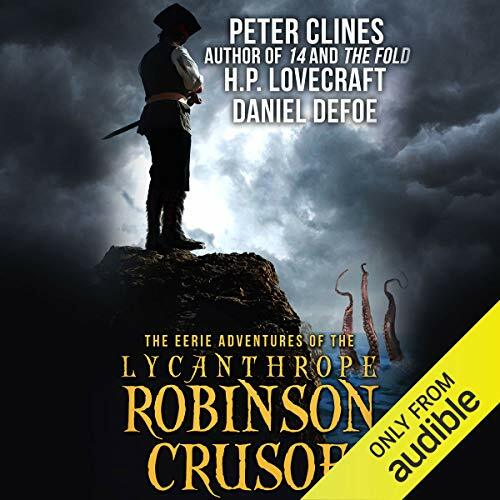 This version of the classic tale, assembled by two legends of English literature and abridged by Peter Clines, is the terrifying supernatural true story of Robinson Crusoe as it has never been told before. Recently discovered amidst the papers of the 20th-century writer and historian H. P. Lovecraft is what claims to be the true story of Robinson Crusoe. 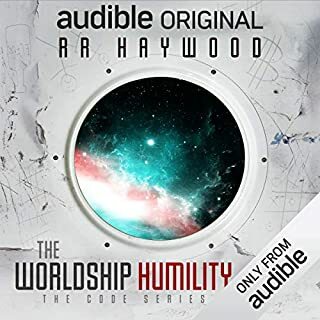 Taken from the castaway's own journals and memoirs, and fact-checked by Lovecraft himself, it is free from many of Defoe's edits and alterations. From Lovecraft's work a much smoother, simpler tale emerges - but also a far more disturbing one. Here Crusoe is revealed as a man bearing the terrible curse of the werewolf and the guilt that comes with it - a man with no real incentive to leave his island prison. The cannibals who terrorized Crusoe are revealed to be less human than ever before hinted at - worshippers of a malevolent octopus-headed god. And the island itself is a place of ancient, evil mysteries that threaten Crusoe's sanity - and his very soul. 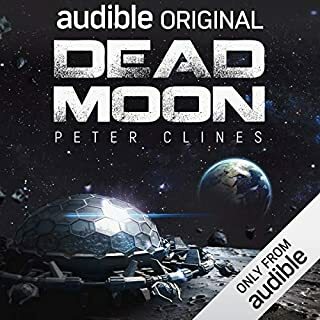 ©2016 Peter Clines (P)2018 Audible, Inc. But this book was fun and unique. Language remains thick, but worth the credit. If you are a loyal Peter Clines fan, this is good stuff. A clever hijacked work of adapted fiction... just not a particularly memorable one. Time and again Peter Clines has demonstrated a remarkable ability to conjure unique and interesting ideas in his fiction, yet sadly the initial premise doesn't always hold up to the final reading. Given the source material (which provides a basic outline which Clines follows in this retelling of Robinson Crusoe), that is not as problematic as in some of his other works. 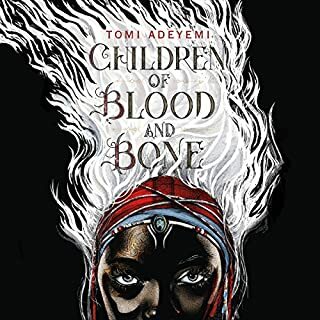 Nonetheless, I found that what started as a somewhat clever idea and a very nice piece of literary adaptation (Clines' continuation of the Robinson Crusoe literary style and feel of the narrative is nearly flawless), soon becomes a bit tedious and difficult to digest to the modern ear. If I had not read the publisher's synopsis describing this as a classic "true found diaries", the entire premiss of the story would have been lost to me. 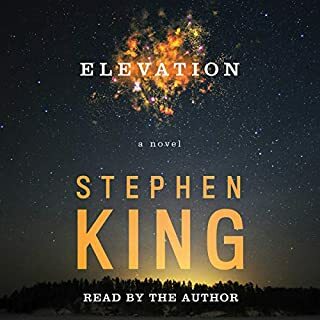 The "found diaries" set up for the entire novel is sadly absent in the audio version of the book (I can only assume it is contained in a foreword or note in the print version that never made it to the audio version). I was so curious as to how closely this adaptation adhered to the original text of Robinson Crusoe, I actually pulled the original text from the library's or comparison. Surprisingly great chunks of the original text are preserved here. I'm not sure if this qualifies as brilliance or lazy writing, but it does serve to blend the two stories nicely. As with much of Clines' earlier works, the macabre slowly builds throughout the story (almost too slowly) and once again pays homage to Clines' love of Lovecraft. Possibly due to the period language or the modern reader's over familiarity with Lovecraft-style horror, there should be no fear of sleepless nights in fear of the Dream Lord. It should be noted that the narration of Tim Gerard Reynolds is pitch perfect for this particular period story (although a bit lacking in vocal inflection beyond the narrator's own voice). 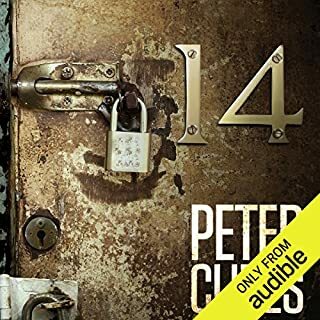 Overall, although not an overly memorable outing, Peter Clines has crafted a very serviceable entry into his Lovecraft inspired collection of stories. 95% of this book is verbatim Robinson Crusoe, if not more. The lycanthrope-part plays an insignificant role and the story had been just the same without it. What a struggle to get through! 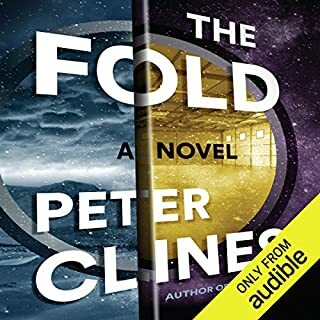 I really enjoyed Peter Clines other books so I took a gamble on this one. The pacing of this story was agonizingly slow. Excruciating detail in the most mundane subjects. I kept listening thinking that it had to pick up the pace once characters were established ... nope. I’m a pretty big Peter Clines fan, so I was really looking forward to this. I give it major points for style. Clines nails both the tone of the Crusoe & Cthulhu mythos. Style wasn’t enough for me ultimately. The Eerie Adventures were slow and mostly dull. Might be a good book of it sounded like it had been written and recorded in this century. Such a great and creative retelling of tales of Crusoe, with the Cthulu myth tied in. Narrator was perfect as well! Struggled greatly to finish. The story rambled so much and never became entertaining just tedious.